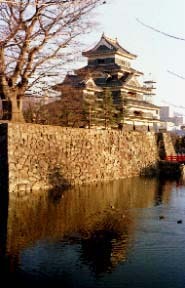 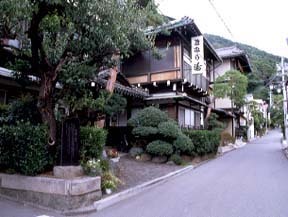 The Ryokan town chosen as the 100th elections of the Matsumoto scene. 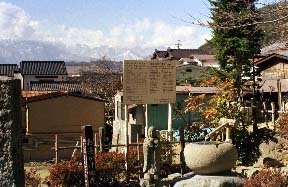 The mountain range of the Japanese North Alps seen from on foot 1 minute "Mizukake-Jizou" from a Ryokan town. 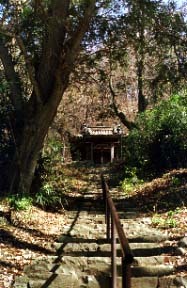 When stone steps are reached from a Mizukake-Jizou, it is to a "hall of the Medicine Buddha." 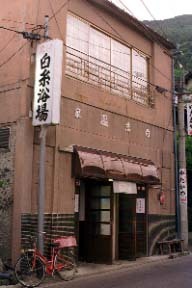 The "Shiraito bathroom" adult of 240 yen.